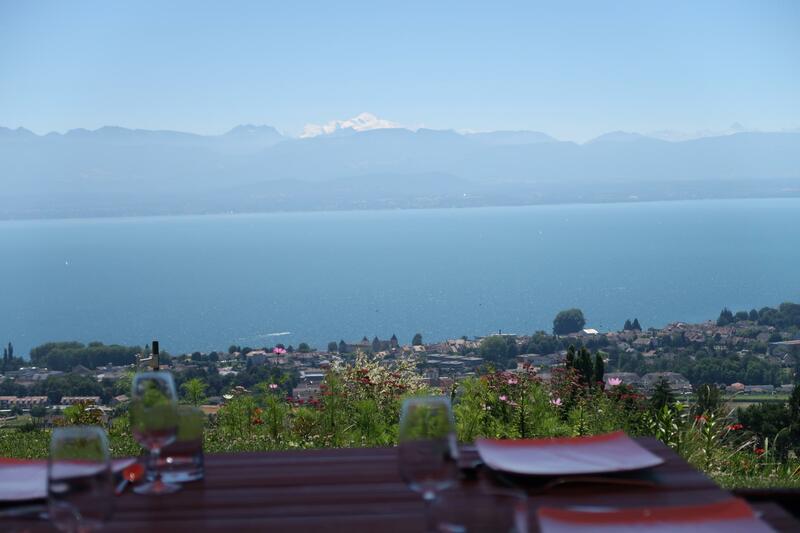 Room and breakfast table **** Superior with panoramic views of Lake Geneva, the Alps, facing Mont Blanc. 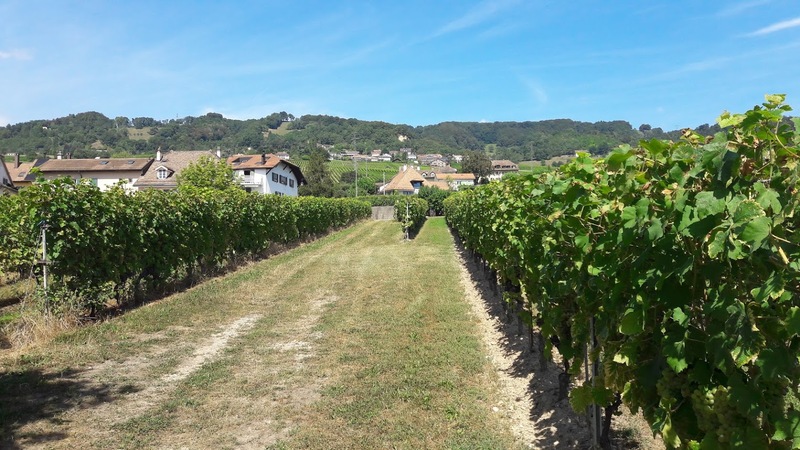 On the heights of Mont-sur-Rolle, in the heart of the vineyards of the Côte. 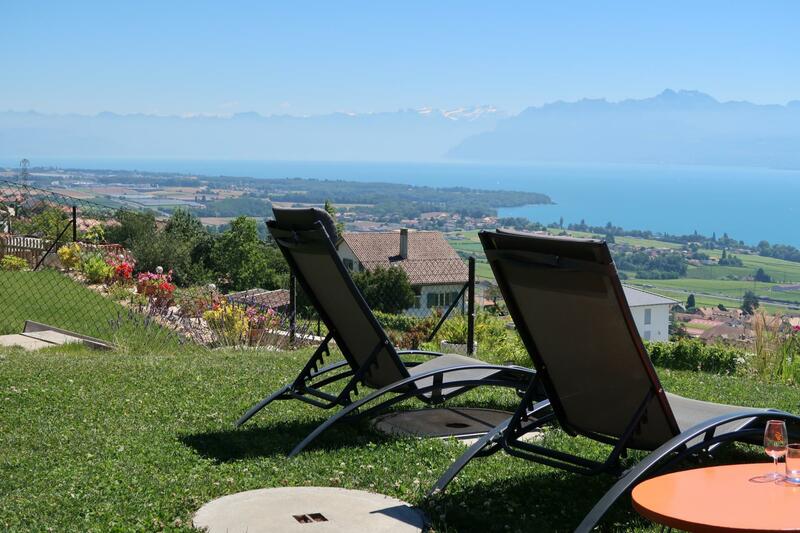 Less than 30 minutes from Geneva and its airport, 5 minutes from the beaches of Lake Geneva, Signal-de-Bougy and its golf course. Ideal for a moment of relaxation and tranquility, possibility of a meal concocted by a chef with local and seasonal products. A gourmet version of Livecooking (that is prepared in front of you). We define the menu together according to your desires and the availability of products. 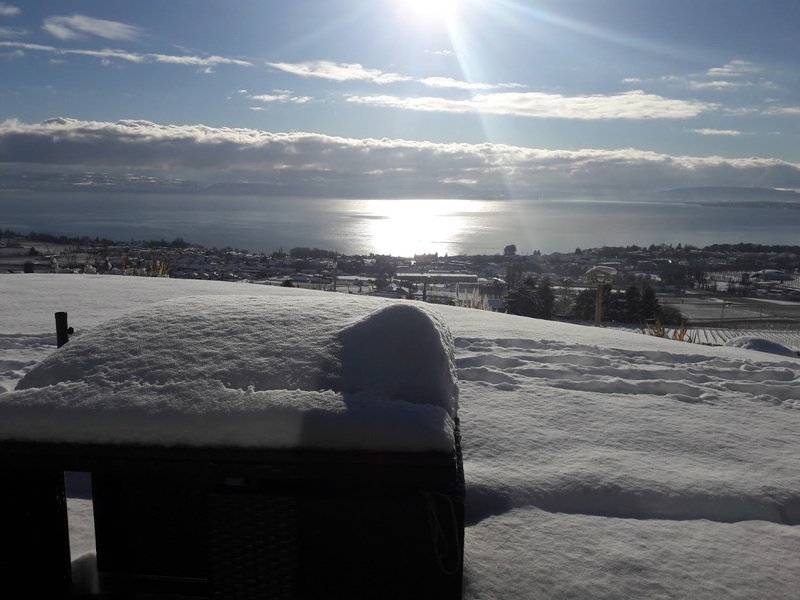 For example, Rillettes de Féra of Léman and its grapefruit pearls, perch fillets of the Léman sinned by the Clerc family (Aubonne) the same day or a rib steak steak of the Côte sat on bone and cooked in low temperature. 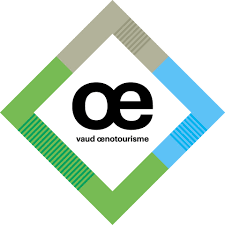 Wir sind zertifiziert Vaudoeunotourism, was bedeutet, dass wir und Sie lokal konsumieren. Personalized service, we have only one room. 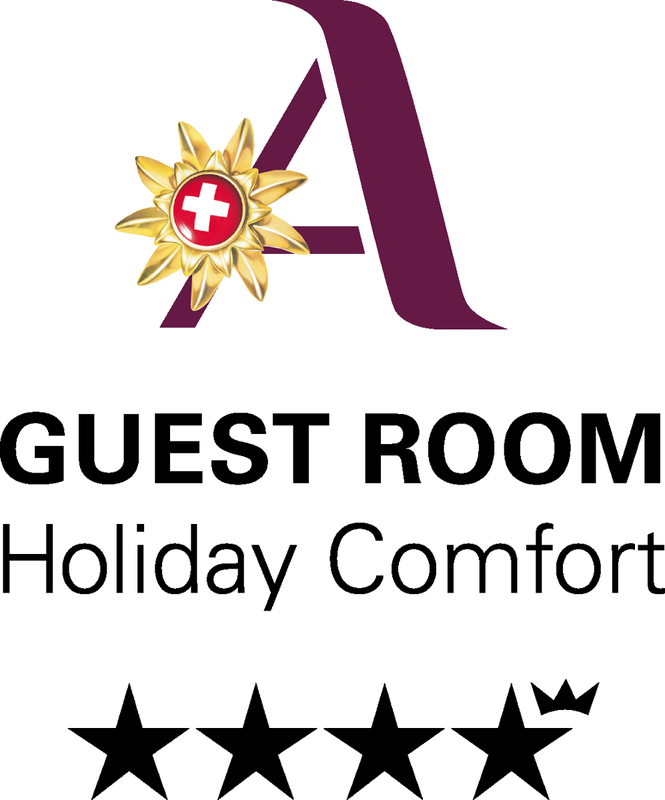 Referenced **** Superior by the Swiss Tourism Federation. The cuisine is prepared by a chef with local products. The kitchen interests you, you can participate. 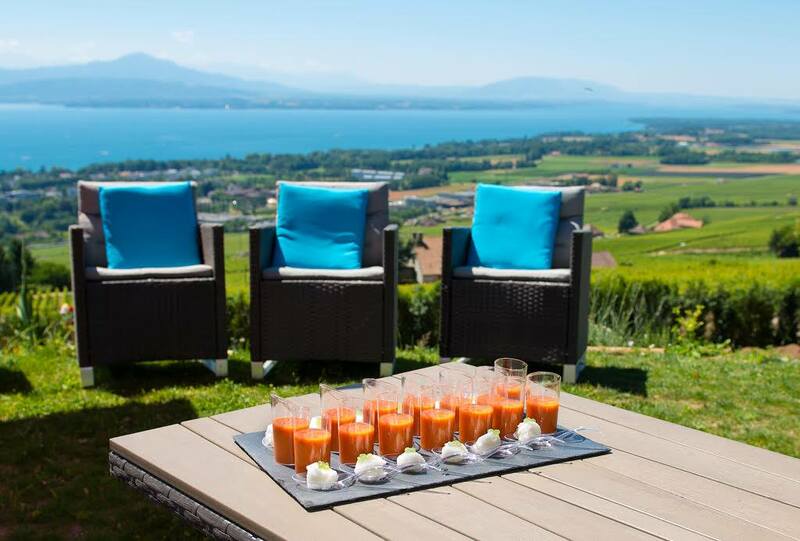 In good weather, possibility of taking meals on the terrace. Direct access to your terrace. 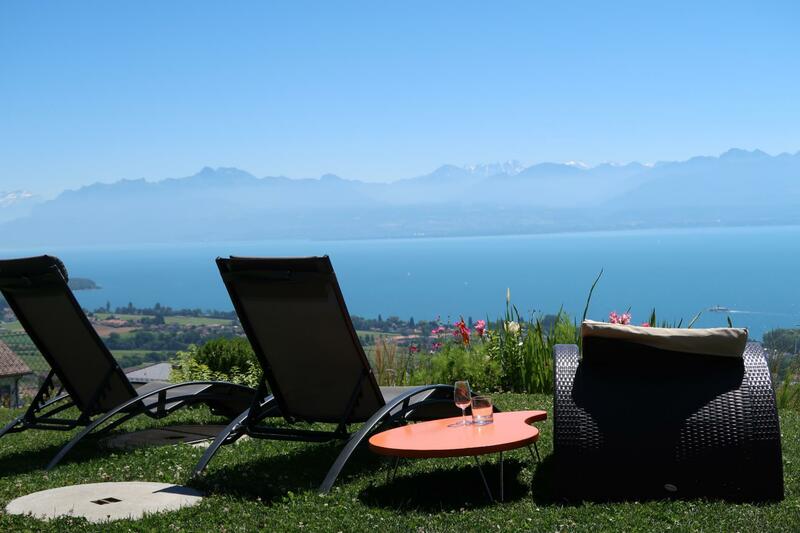 Exceptional view of Lake Geneva from your room. Parking, free wifi, tv, radio, coffee maker, kettle and hair dryer available.